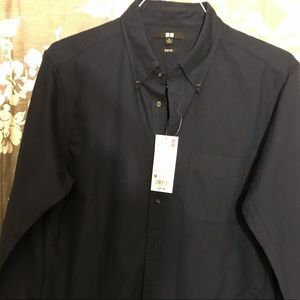 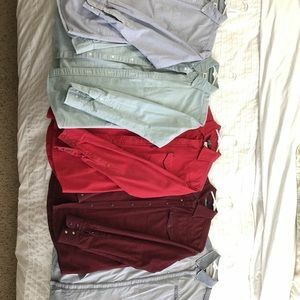 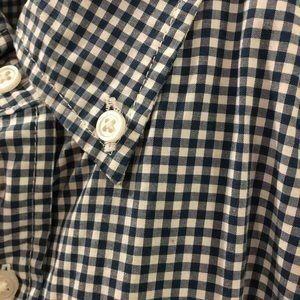 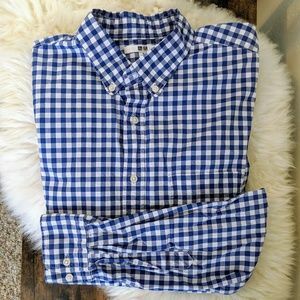 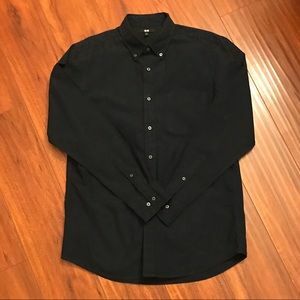 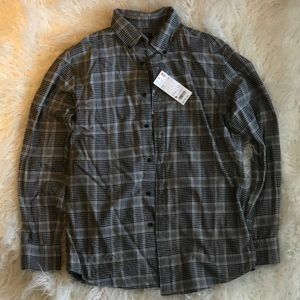 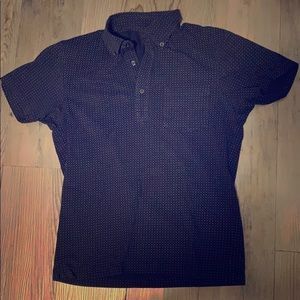 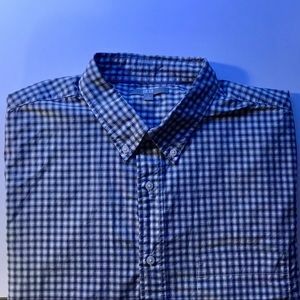 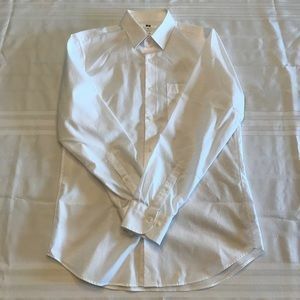 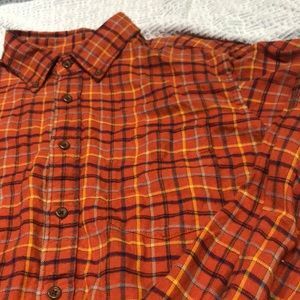 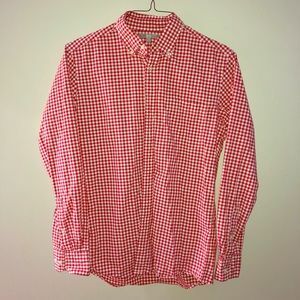 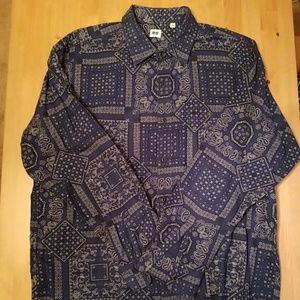 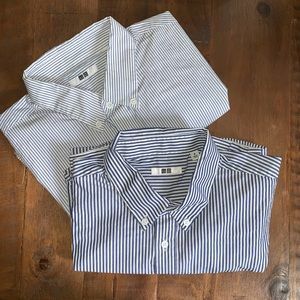 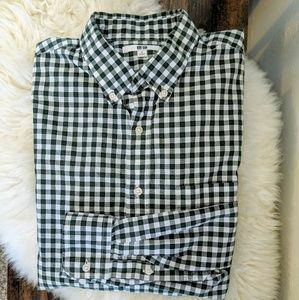 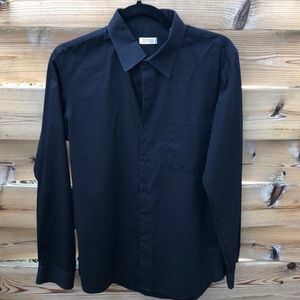 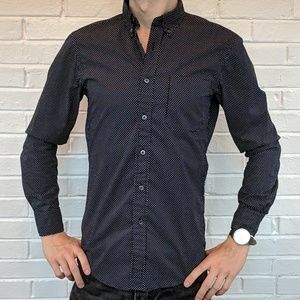 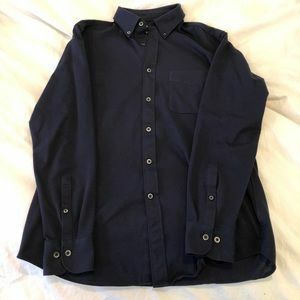 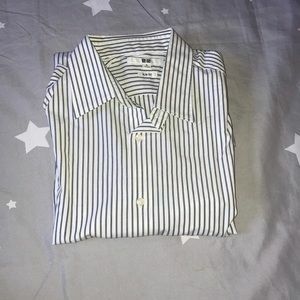 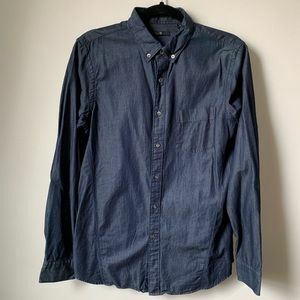 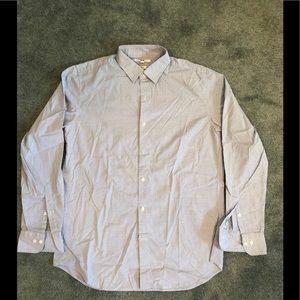 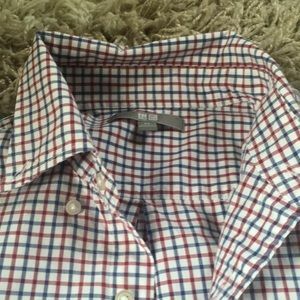 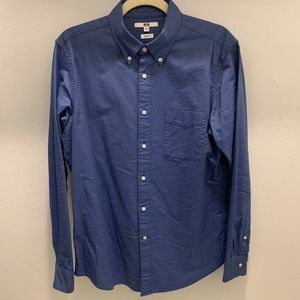 Mens Uniqlo Button Down Shirt. 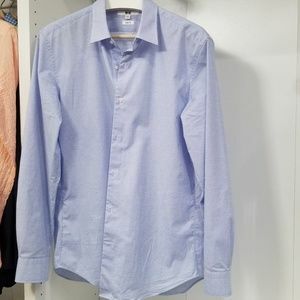 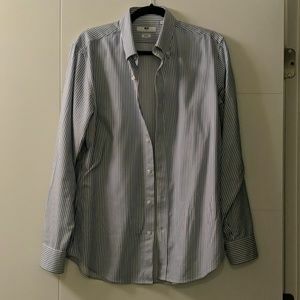 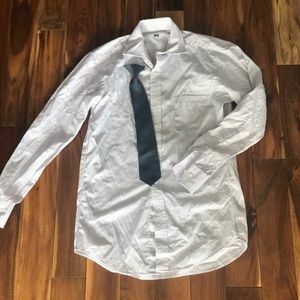 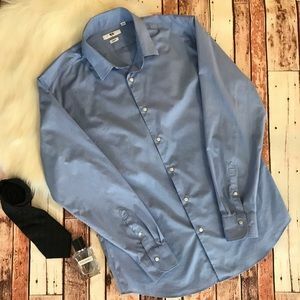 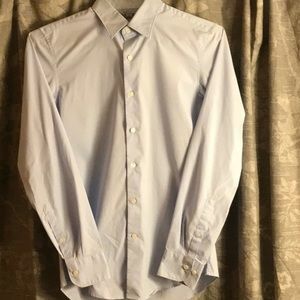 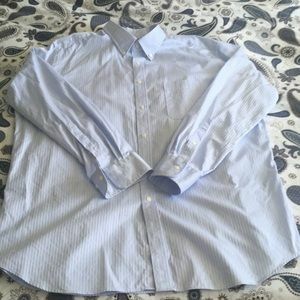 Uniqlo light blue dress shirt slim fit XS. 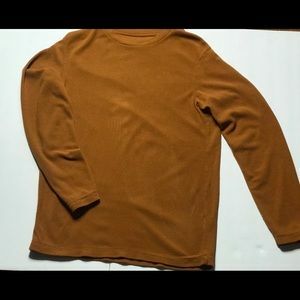 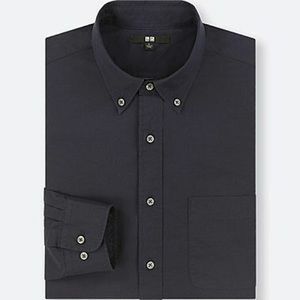 Uniqlo MEN OXFORD REGULAR-FIT LONG-SLEEVE SHIRT. 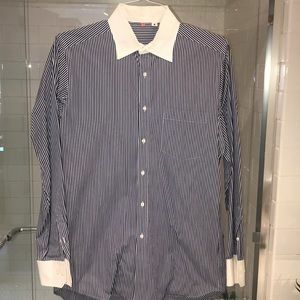 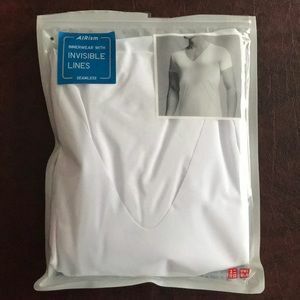 Uniqlo dress shirt. 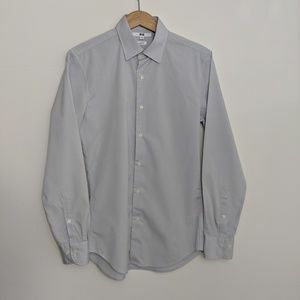 Grey polka dot.